On one Earth, the Dastardly League lays a lethal trap for Dragonfly! 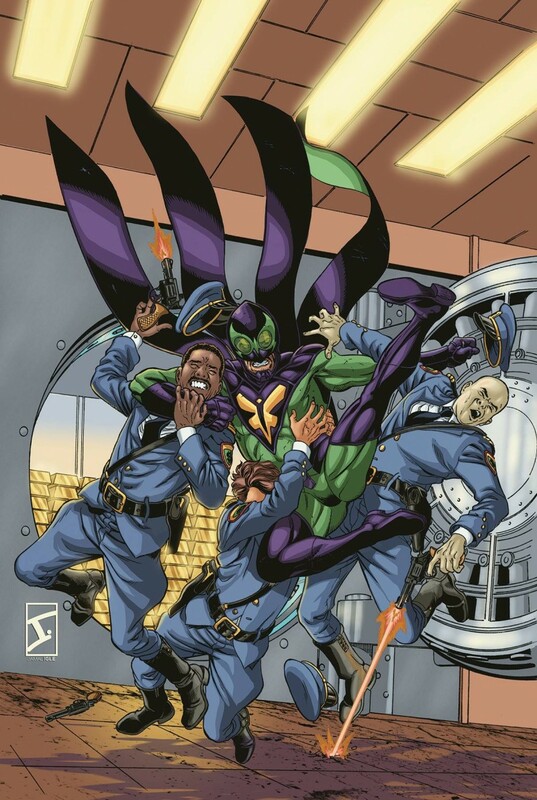 On the other, a disguised Dragonflyman infiltrates a dangerous criminal haunt! Plus, To save a group of missing teens, Dragonfly must beat up the Internet! And, prose and pictures by the multiverse’s most imaginative minds!